Computer Models are narrowing in on snow totals, and so is our map. Confidence: axis of heavy snow along Mississippi River and track. Dry air will really prevent a strong eastern movement to the snow band so areas such as northeast Wisconsin will not see much. 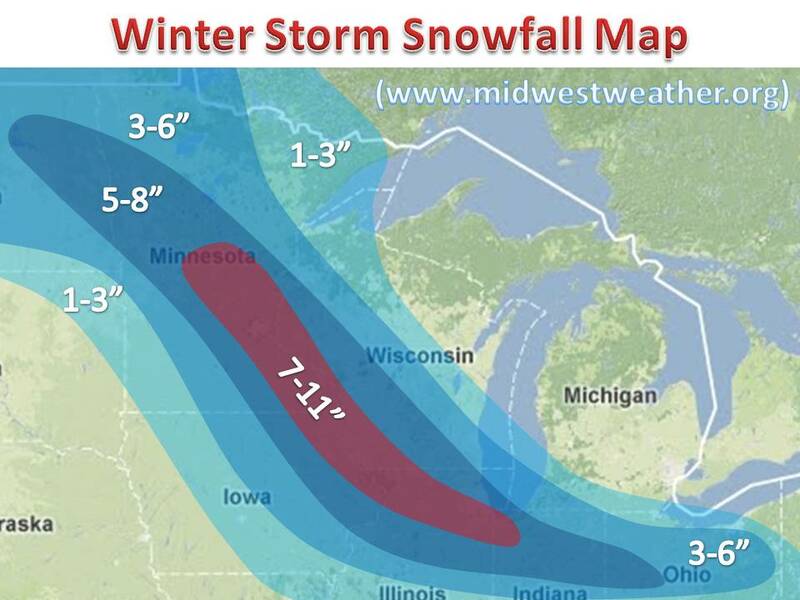 It looks like the strong band will hit Minneapolis to Chicago. With such a narrow band, we will be watching to see if anything changes tonight and tomorrow morning. Stay tuned!